KNOW THE SIGNS OF A STROKE! BE FAST! 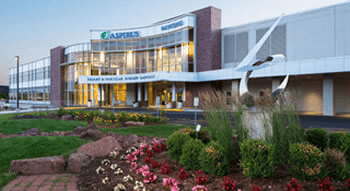 Aspirus Wausau Hospital is a Primary Stroke Center. To learn more, click here. A stroke occurs when the flow of blood to a portion of the brain is interrupted. A reduction in blood flow can occur because of a clot that blocks a blood vessel or because of bleeding in the brain. The extent of irreversible cell death that occurs from the lack of blood supply depends on the duration of the reduced blood flow. Stroke is the No. 5 leading cause of death in the United States and is a leading cause of serious, long-term disability. Stroke needs immediate medical attention. Wausau – The Stroke Club is a support group for stroke patients and their families. The group meets the second Monday of even numbered months. Meetings are held in the Birthing Center Classroom at Aspirus Wausau Hospital. Please use Entrance C for parking and access to the Birthing Center entrance. For more information, call Aspirus Outpatient Therapies at 715-847-2827. Medford – The Stroke Support Group offers emotional, educational and social support for stroke survivors as well as their family members and caregivers. Individuals are encouraged to attend to receive encouragement from others coping with similar issues. The group meets the third Tuesday of the month (except on holidays) at 1 pm. Meetings are held in the Community Education Room at Aspirus Medford Hospital. For more information, call Aspirus Medford Hospital at 715-748-8100. Take our stroke health assessment now. Take a stroke quiz, find out your risk factors for stroke and get more valuable stroke information.